No visit to Scottsdale would be complete without a trip to the spa, but in a city that has more spas per capita than any other in the world, choosing just one can be a daunting task! Most travelers just book a service at the property where they are staying, so resort-spas can get a little crowded. For a memorable spa experience, adventurous travelers follow the locals to their favorite spa. Spa Lamar is a real resort-style spa, not a salon that offers massages. 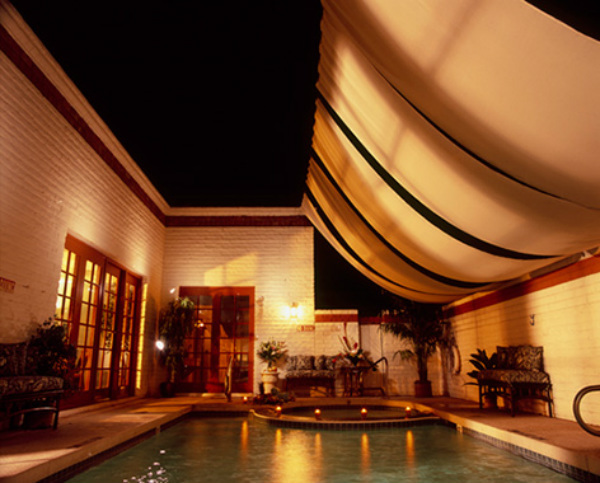 Scottsdale residents, that have visited some of the best spas around the world, call this casually elegant oasis home. In addition to world-class services, Spa Lamar guests enjoy a sauna, steam, pool and whirlpool, yoga studio and dining facilities. Why settle for a typical resort massage when you can get an authentic spa day for substantially less, and get the local scoop on the best restaurants and places to shop? The island inspired ambience of Spa Lamar is an unexpected oasis in the Sonoran Desert. This may be the largest privately owned resort-style spa in the Southwest, but guests say it feels more like a visit to the home of an old trusted friend. A favorite destination for discerning locals and savvy visitors alike, Spa Lamar is not just another trendy place to see and be seen. It is a refreshing escape to a serene world where even the rich and famous can truly relax because every guest is treated like royalty. Spa Lamar combines exotic therapies from around the world with an award winning team to create an unparalleled place of rejuvenation. This European style spa, where couples can soak, steam, sauna and swim together, was named “One of Phoenix’s Most Romantic Places to Take a Date” by City Search. All-Inclusive Spa Packages include steam, sauna, pool, whirlpool, robes, towels, sandals and lockers. 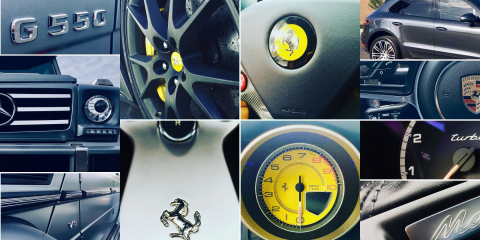 For a complete list of services, please visit SpaLamar.com. The yoga schedule and class descriptions may be viewed at YogaLamar.com. To request an appointment, please call our spa concierge at 480.945.7066. 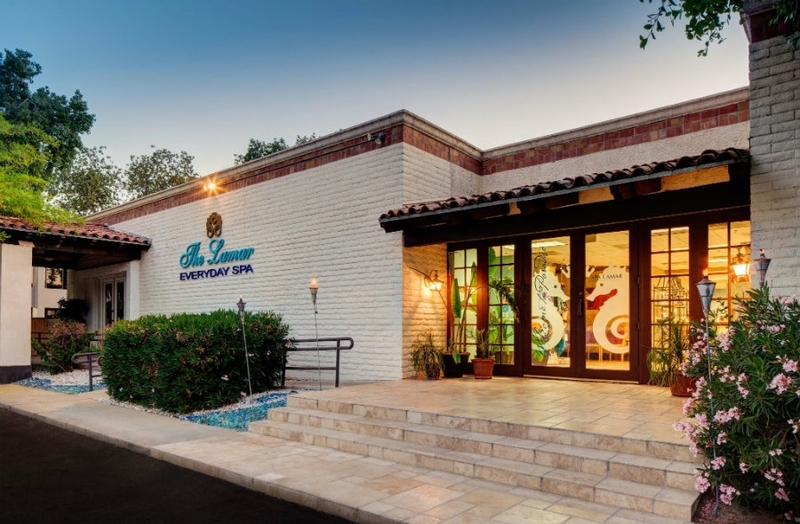 Conveniently located just blocks from Old Town, The Scottsdale Fashion Square and The Scottsdale Waterfront, Spa Lamar has ample free parking, a steam room, sauna, swimming pool, whirlpool, banquet facilities and full service Hair and Nail Salons. Nestled between the Paradise Valley Double Tree Resort and the Chaparral Suites, on Scottsdale Road, Spa Lamar is large enough to accommodate any group with boutique attention to every detail. Whether you are planning a romantic escape, corporate incentive trip, team building event, sales meeting, bridal party or girls’ spa day, Spa Lamar provides the perfect setting for an unforgettable gathering. For over 30 years, groups of 10-100+ have been treated like royalty in this casually elegant 14,000 SF resort-style spa. 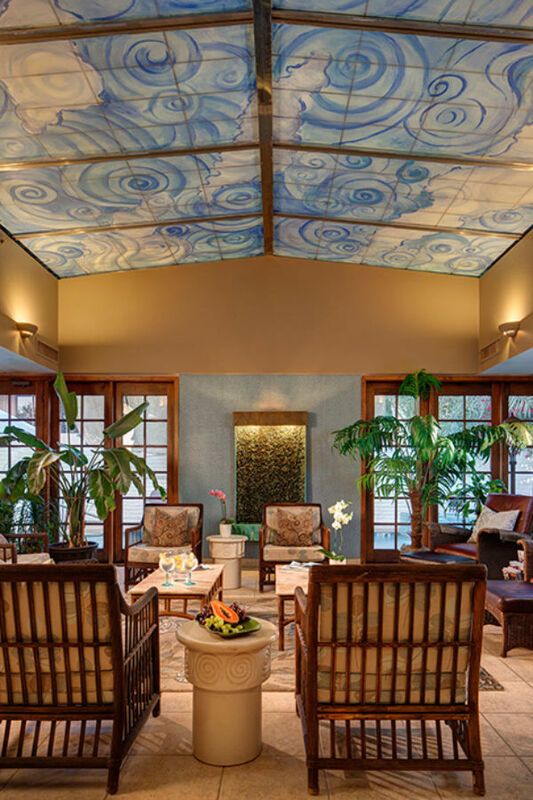 When it is time to celebrate in Scottsdale, corporate clients like IBM, GE and McKesson, come to Spa Lamar. 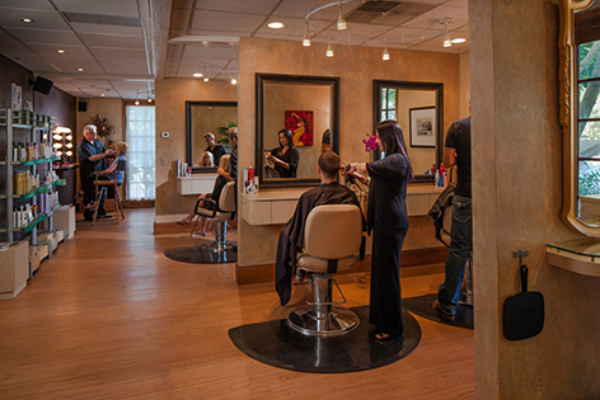 With 2,000 sq ft of event space, banquet seating for 50 and a long list of repeat clients, Spa Lamar is the perfect place for spa-savvy groups to relax and reconnect. Choose from one of our group packages or let our Event Concierge help you create a customized spa day, that exceeds your expectations, not your budget! 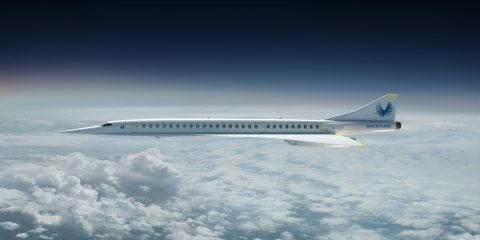 Buyouts reward your group with the highest level of appreciation and VIP status – providing the greatest sense of exclusivity and pampering. Everyone in attendance feels a sense of pride at being a valued insider. They know they are playing at the top of their game. 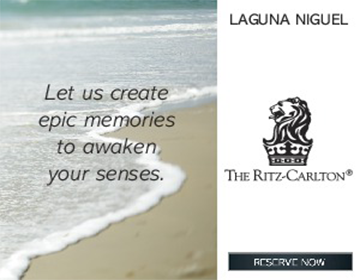 Exclusive use of Spa Facilities and unlimited services, Yoga Class & VIP dining. Exclusive use of our 14,000 sf pa for 6 hours. Unlimited Massages, Facials, Pedicures and more. 3 Course meal prepared by a local chef in our Palm Room. 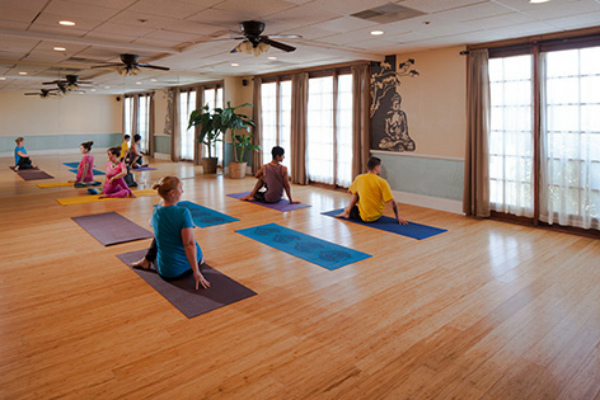 Private Yoga classes tailored to fit your group. 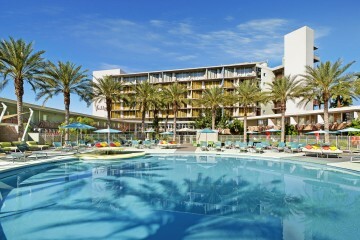 Steam Room, Sauna, Heated Pool, Whirlpool, Robes, Towels & Lockers. * Spa Facilities includes Steam Room, Sauna, Swimming Pool, Whirlpool, Robes, Towels, Lockers & Fresh Fruit & Tea Bar. 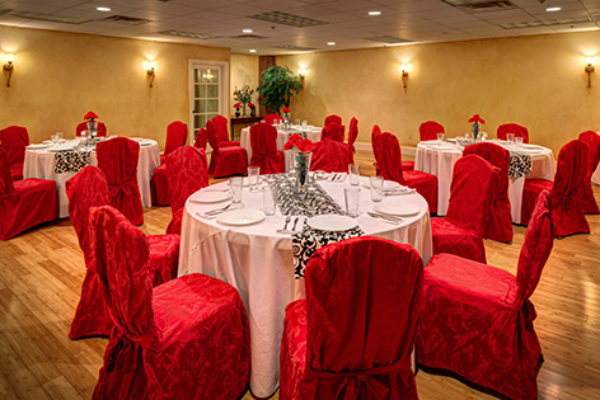 * Hot Buffet includes two gourmet pastas, caesar salad, garlic bread, dessert tray, iced tea & water. * Picnic lunch includes choice of salad, sandwich, cookie & beverage served in a picnic basket. * Our Day Spa is co-ed, so bring a bathing suit if you want to enjoy the Sauna, Steam Room, Outdoor Swimming Pool or Whirlpool. Our Desert Island sauna is a perfect place to lie back and relax as your body is enfolded in dry heat. Experience feelings of peace and contentment, relax your mind, lift your mood, fight fatigue, anxiety and depression while your body’s knots gently loosen themselves. There are many physical benefits of a visit to the sauna as well. Stimulating your body’s natural ability to eliminate toxins, our sauna will help your sweat glands to cleanse your skin, purge your system and stimulate your circulation. 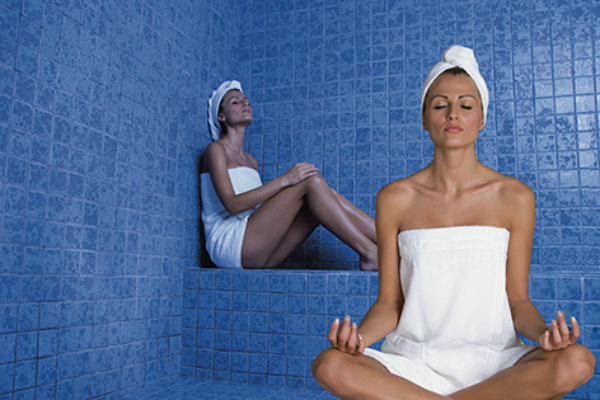 The Blue Lagoon Steam Room will enfold you in moist, penetrating heat, allowing your body to completely relax. Steam also liquefies toxins and impurities hidden in even the smallest body channels. Once liquefied, your body can more easily eliminate these toxins and impurities, allowing your skin to regain its natural youth and softness. The soothing sounds of our waterfall will transport you to island serenity, whether you choose a lounge or refreshing dip. Our outdoor swimming pool provides a refreshing way to cool down after a sauna or steam. During the winter the pool is heated, to provide the perfect year around setting for water aerobics or a lazy float on one of our pool loungers. You may also enjoy sunbathing in the privacy of our Oasis Courtyard. Worries, aches and cares all disappear in the healing vortex of our Bermuda Whirlpool. Physicians and physical therapist regularly prescribe hydrotherapy to relieve pain, increases circulation, reinforce metabolic function and stimulate the body’s healing powers. Relax and rejuvenate the way professional athletes do, with a nice long soak in our whirlpool. Choose from one of our all-inclusive packages or let our Event Concierge help you create a customized spa day, which exceeds your expectations, not your budget. We look forward to sharing our island paradise with you! 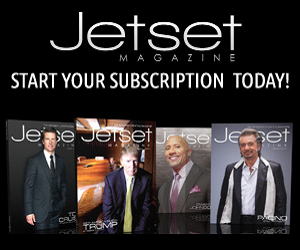 Group Packages require a minimum of 10 people, a 50% deposit a 20% gratuity.